An influx of former players from Maine Girls' Academy brings high expectations to a team that could contend for the Class C championship. YARMOUTH — The North Yarmouth Academy girls’ basketball team was going through a practice drill, a three-player, fast-break weave ending with a layup. As one group brought the ball up court, Serena Mower began clapping her hands. Soon her teammates joined in, and the rest of the drill was run to the beat of a rhythmic clap. Mower, a junior, is one of 40 students who transferred to NYA from Maine Girls’ Academy after it closed its doors in July. She may be new to the team, but she knows it’s important that everyone realizes they’re wearing the same jersey now. “It comes down to we’re just one team now,” said Mower, one of seven former MGA players on the Panthers’ 12-girl varsity roster. Mower and senior Catherine Reid, a second-team all-SMAA selection last year, are likely to start for the Panthers, as they did for the soccer team that won the Class D state championship in the fall. They could have that same impact this winter. NYA, which lost in the Class C South preliminary round last year, was already returning a strong nucleus, led by seniors Maggie Larson and Sydney Plummer. The addition of the former MGA players – who played at the Class AA level – brings great expectations. Coach Tom Robinson, who coached the NYA boys from 2003-07 and was most recently an assistant for the Cape Elizabeth girls, knows there’s a lot of work to be done. With the influx of former MGA players, NYA had to overhaul its schedule. Several of the smaller schools on NYA’s original schedule were no longer comfortable playing against the new-look Panthers. 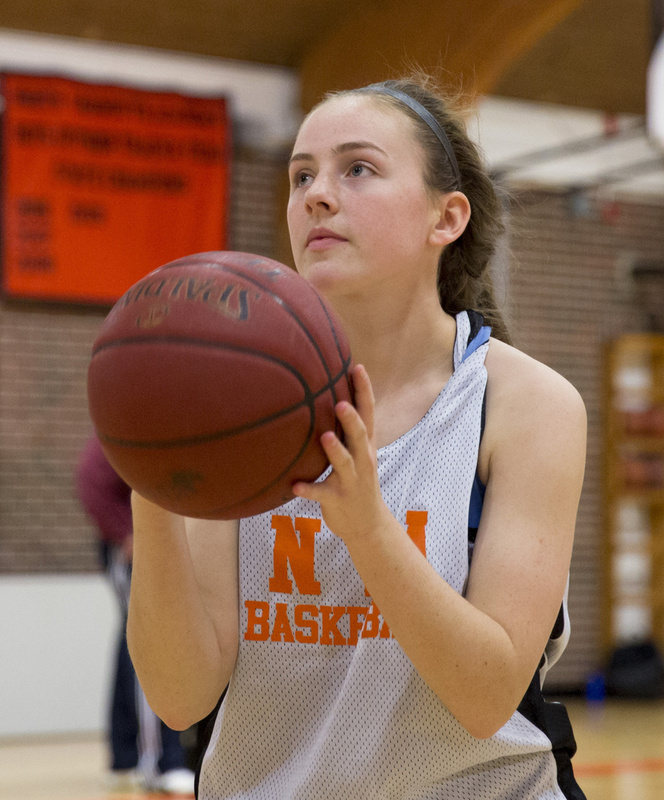 So the Western Maine Conference adjusted the schedule, and now the Panthers may have the toughest schedule in Class C.
Catherine Reid, who averaged in double figures last season while playing in Class AA, is one of NYA’s key newcomers. They play twice against Class A Greely – perhaps the best team in the state regardless of class – and also have games against Class A Fryeburg Academy and Class B Lake Region, Yarmouth, Gray-New Gloucester (the favorite in Class B) and Cape Elizabeth. The Panthers retained some of their traditional Class C rivals, such as Waynflete, Old Orchard Beach and Traip Academy. That’s a long way off. For now, the players are getting to know each other. Plummer, who led NYA with 9.2 rebounds last year, said the returning players were a little concerned when they first learned that many of MGA’s players were heading to NYA. “But it’s definitely turned out well,” she said. Reid and Mower may provide the missing pieces. Both are adept point guards and perimeter players, something the Panthers were lacking. “It definitely boosts our team to the next level,” said Larson. Anticipation is high. Reid said she hears about it every day in school, how folks are expecting great things. Robinson said “time will tell” how good this team becomes.